The "Killing Floor 2 - Summer Sideshow: Treacherous Skies Update" (which, for sanity's sake, will henceforth be referred to as "the update") is first and foremost adding a new map to the collection: Airship. 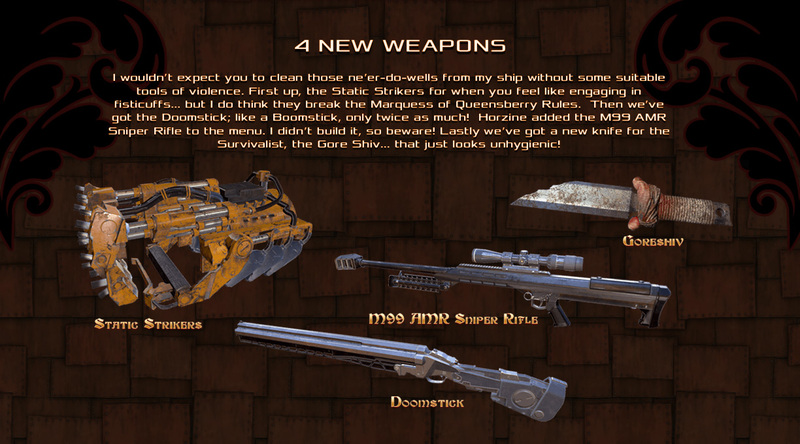 In it, players are working together to help Lockhart reach his home island by "completing a series of increasingly challenging objectives", punctuated by blasting waves of zeds into smithereens. A new community map, called Endless Lockdown, has been added as well. Weapons can also now be upgraded, meaning players can take any weapon they're partial toward and make it usable for late-game play. Plus, anyone who's reached level 25 in a particular perk can reset the perk using the Prestige System and receive an exclusive weapon skin along with some "vault dosh". Finally, Tripwire has created a brand new DLC character named Mrs. Foster, who happens to be voiced by Claudia Black of Farscape and Stargate SG-1 fame. How's that for pedigree? 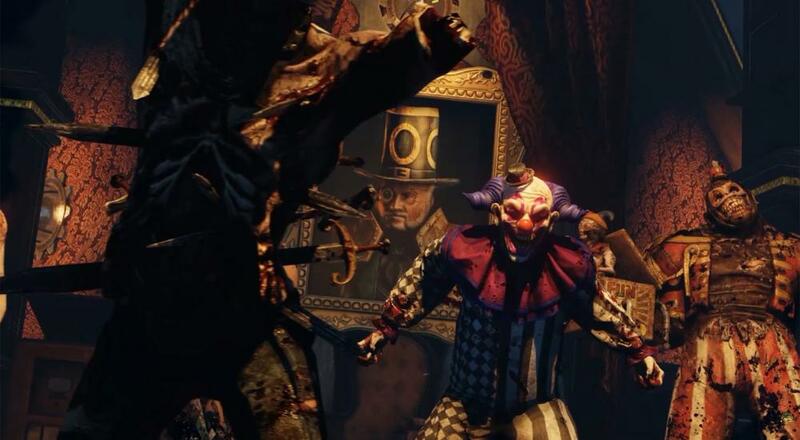 The game features online co-op for up to six players and receives a steady flow of updates and support from its developer, Tripwire Interactive. To make sure everyone gets a fair chance to experience all this new content, all Steam versions of Killing Floor 2 are 60% off until June 21st. On top of this, the game is totally free to play through Steam for the rest of the weekend. Now you really have no excuse for missing out. What Specs Does Your PC Need to Reach the Killing Floor 2? Page created in 0.2797 seconds.